This year, we’re trying to give you as many options as possible to follow VeganMoFo. As well as the RSS page, and the instagram feed linked to in our Blogroll Page, we’ve also put together an OPML file for you to download. What this means is that you can import this year’s blogs into a blog reader – such as Feedly, and follow our blogs on there! 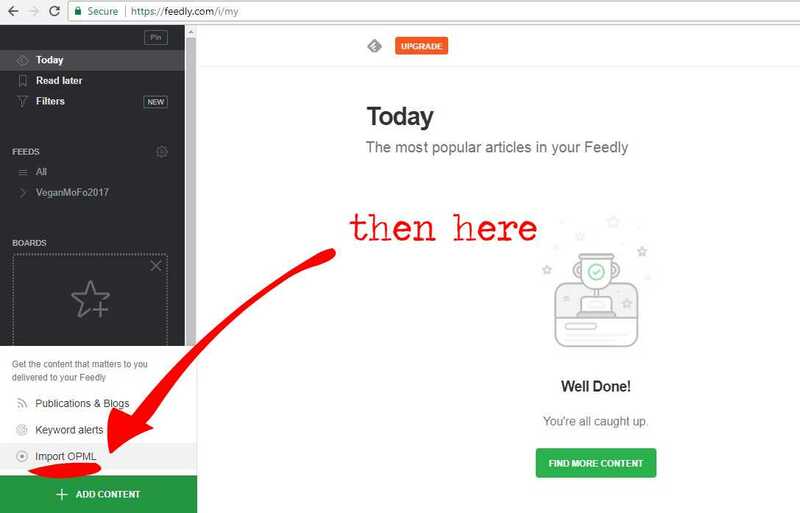 Below, you’ll find the file itself, and a small tutorial on how to import this file into Feedly. 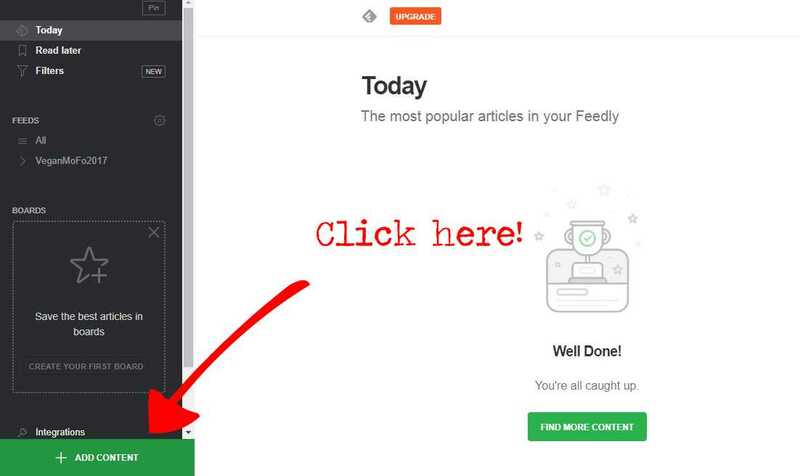 You will need to create an account on Feedly in order to use that site! 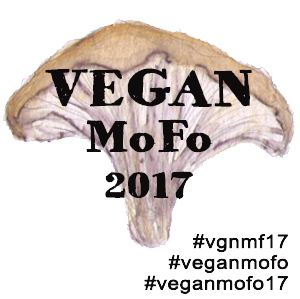 Download the VeganMoFo 2017 OPML File Here. First, download the above file, and save it somewhere you’ll be able to find it later. Change its name, or leave it as it is, it doesn’t matter, so long as you remember what it’s called. Next, open up your Feedly. Next, click the “Import OPML” button. You’ll be taken to a page where you can upload the file you downloaded earlier. Do this, and it will import all the web blogs that are participating in this year’s VeganMoFo! If you have any problems with this file, do let us know – but we’re hoping it all works. Enjoy your VeganMoFo! Congratualations to our winner, Southern Food Fiend! 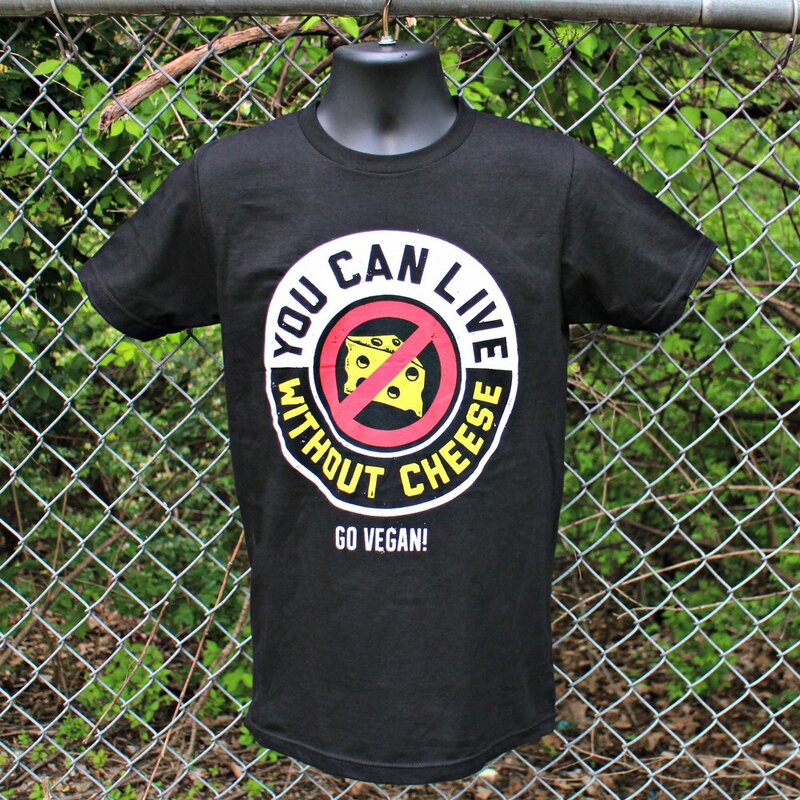 VeganMoFo 2017 is starting soon and we want to make sure our lovely participants are dressed for the occasion! 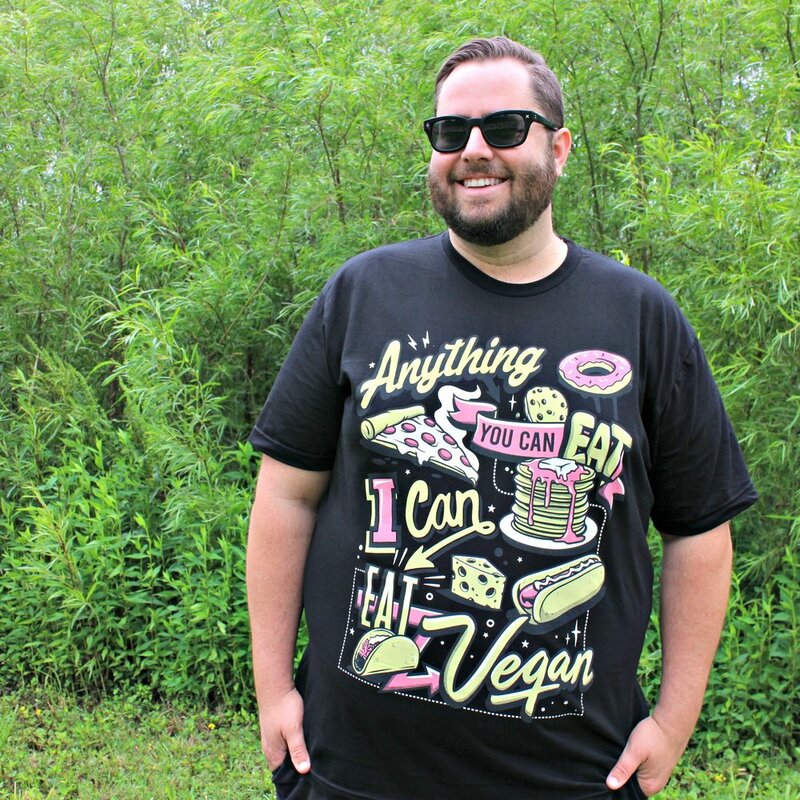 We’re very pleased to announce our first giveaway in 2017, courtesy of the wonderful Compassion Co.
Compassion Co was founded by animal rights activists Andy Tabar and Paul Stellar, and all their clothing proudly conveys the vegan message. Not only are they promoting kindness to animals – their products are also good for the Earth too! They only use either recycled or domestically grown organic cotton, and there isn’t a sweat shop in sight. Compassion towards animals, humans and our planet? This is a company we can all get on board with! 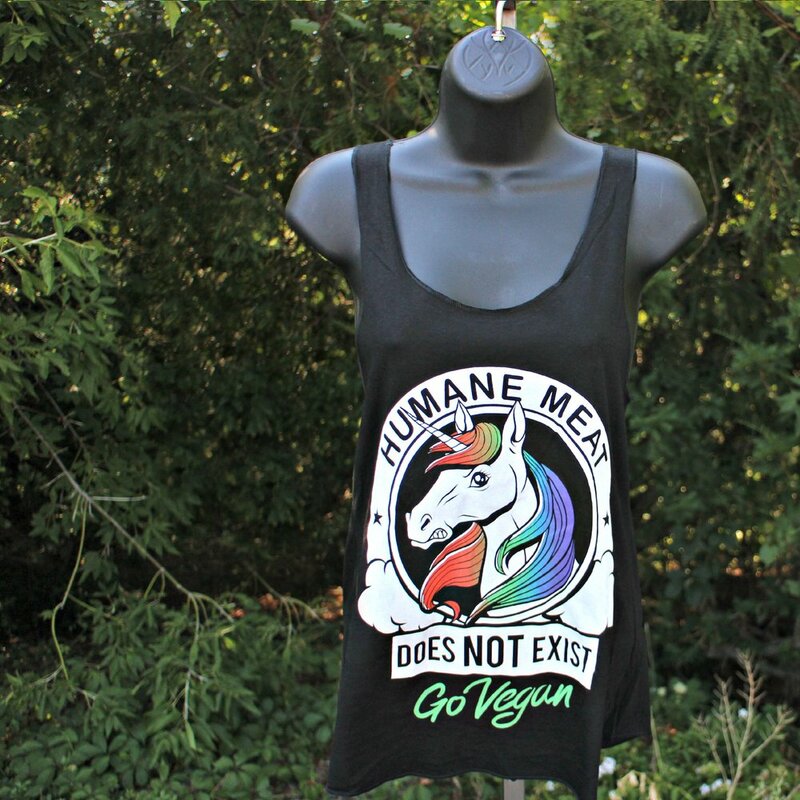 Compassion Co has kindly offered one lucky winner the t-shirt or tank top of their choice. 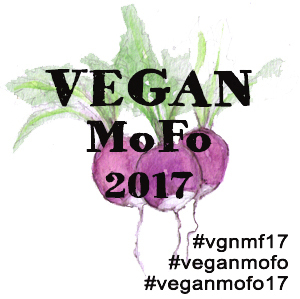 Sign up for VeganMoFo 2017 by 22nd September – if you haven’t already done so, the form is right here! If you’ve already signed up, then you’re already in with a chance! 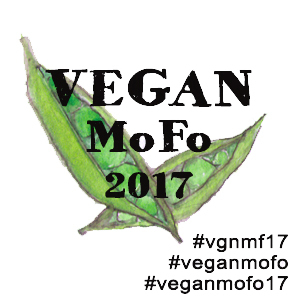 Make your first VeganMoFo 2017 post on your registered social media account or blog on Sunday 1st October – but you were already planning on doing that anyway, right?! It really is that simple! Participants from anywhere in the world are eligible to win. We’ll choose a winner at random and announce the lucky MoFo’er on Monday 2nd October. In the meantime, don’t let lusting over their online store distract you too much from your VeganMoFo prep! Are you excited for this year’s VeganMoFo yet? Don’t forget, you can still sign up here if you haven’t yet! In the meantime, we’re pleased to present brand new graphics for this year’s event. Thanks to Tansy Rees Illustration (also find her on Instagram here) we’ve got a variety of vegetables you can use to show off your participation in VeganMoFo. Use them on your blog or your Instagram, share them on Facebook or Twitter to let people know you’re involved – spread the word about vegan food! It’s already September, meaning there’s only one month to go until VeganMoFo gets underway! To get you in the mood, here’s our new MiniMoFo challenge. In September our theme is: a meal inspired by a book you love. And there’s a deadline this month – we’d love your submissions before 25th September, so we have time for a roundup before October comes around. 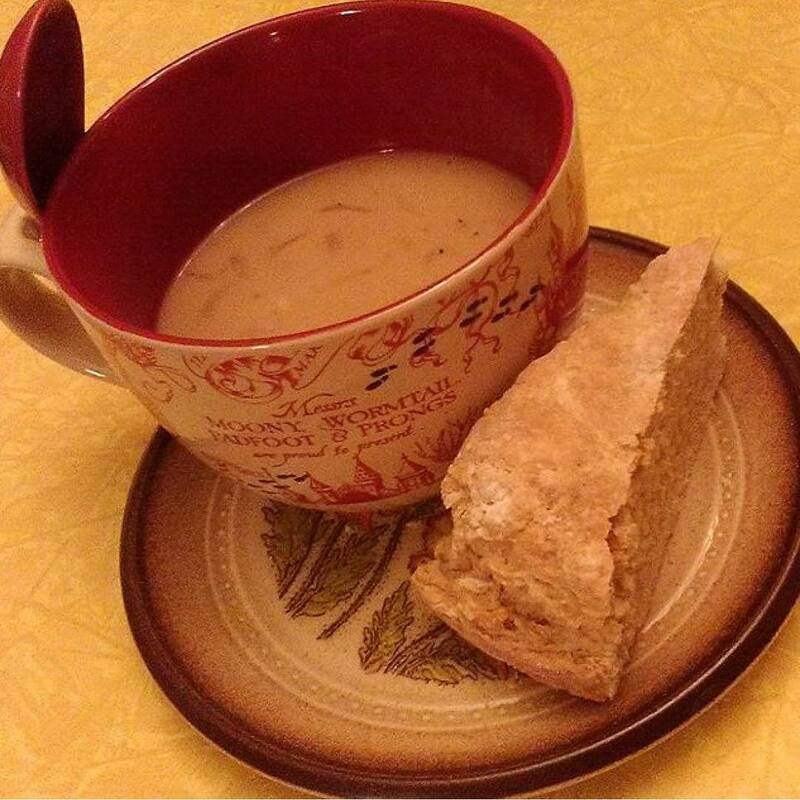 8th September is International Literacy Day, so we’re asking you to cook up something inspired by a beloved book. 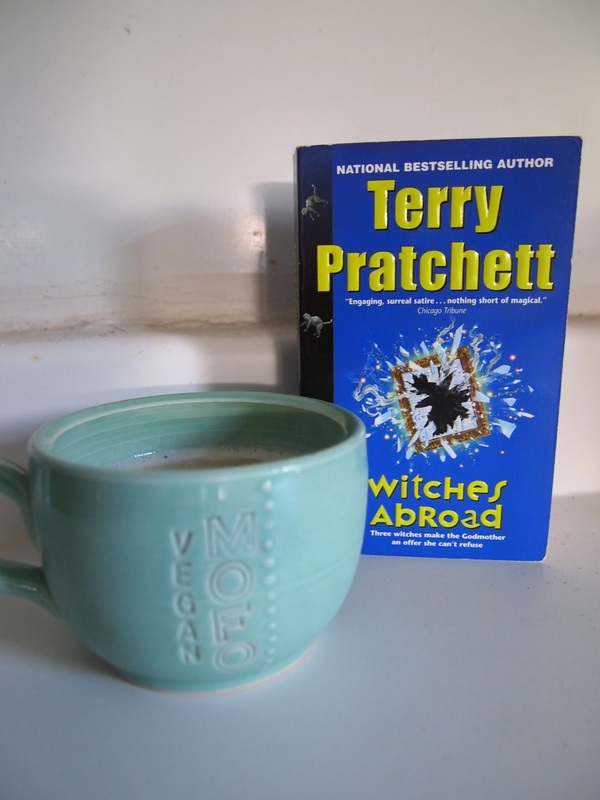 Harry Potter fans, how about some vegan butterbeer? Can you give Willy Wonka a run for his money and create a sublime chocolate concoction? Show us what you’ve got! 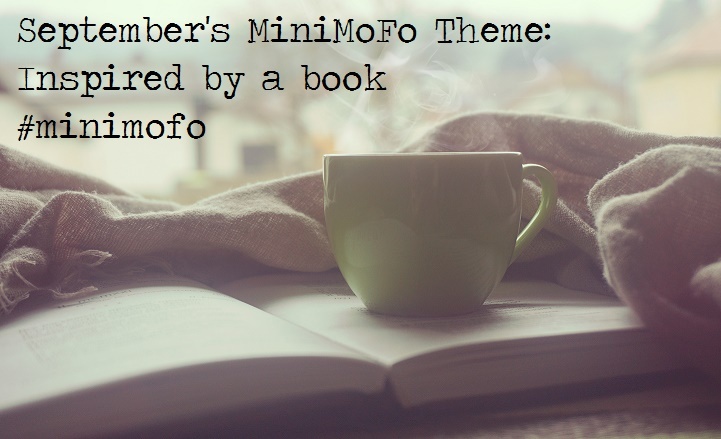 As usual, remember to use the hashtag #MiniMoFo or post your link in the comments below, and check back at the end of the month for our roundup. Summer is coming to an end, and here at VeganMoFo HQ we’ve been saying goodbye with some tasty outdoor eats in the last of the sunshine! Let’s take a look at the highlights of August’s outdoor-themed MiniMoFo. 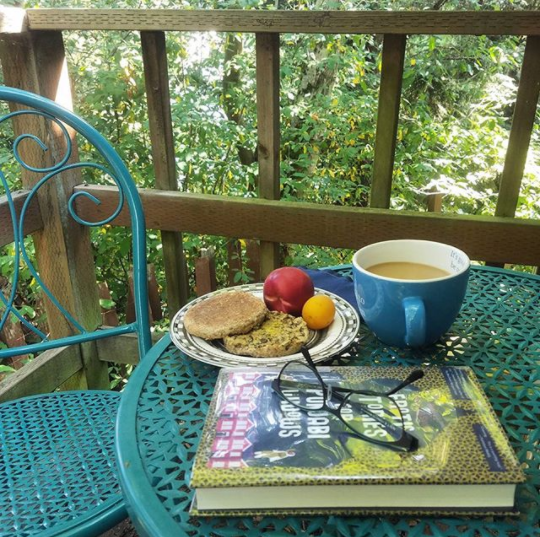 Sarra knows how to start the day in style with breakfast and a good book in the great outdoors! The bagel is spread with kale cream cheese – sounds good! Here’s another MoFo’er who starts the day right! 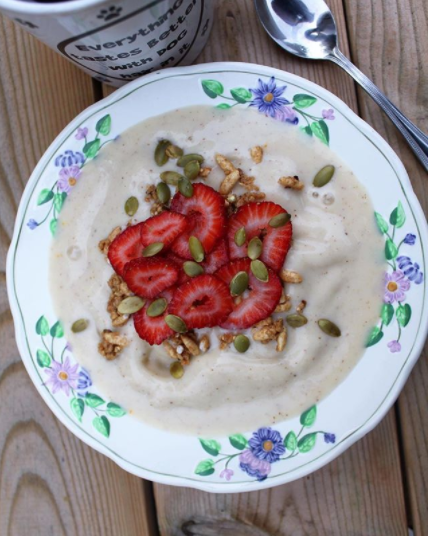 A pineapple yoghurt bowl in the garden sounds as summery as can be. 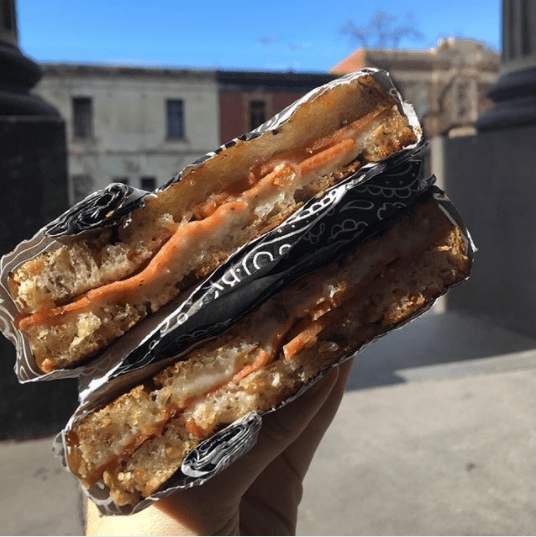 JoJo shared this envy-inducing grilled ham and cheese sandwich that she picked up in Melbourne. Delicious! 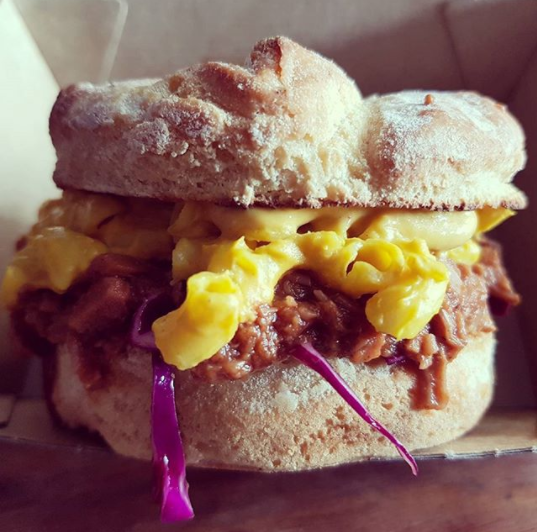 Sticking with Australia, Susan grabbed this BBQ mac and cheese burger from Brisbane vegan market. Can’t you just imagine how much mess this would make?! Something tells me it would be worth it though! 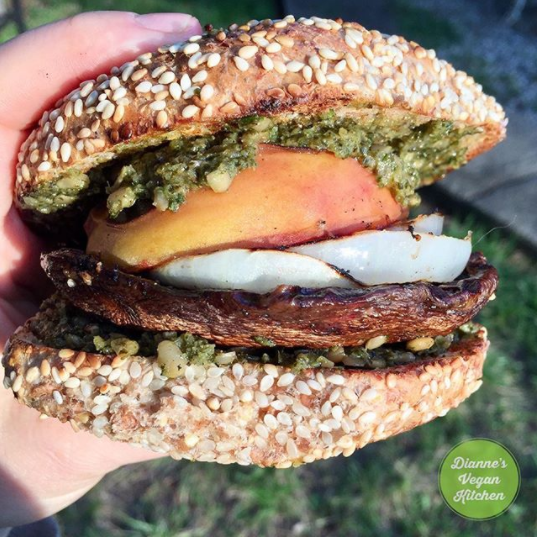 Speaking of burgers that are both messy and delicious: how about this grilled portobello peach beauty from Dianne? 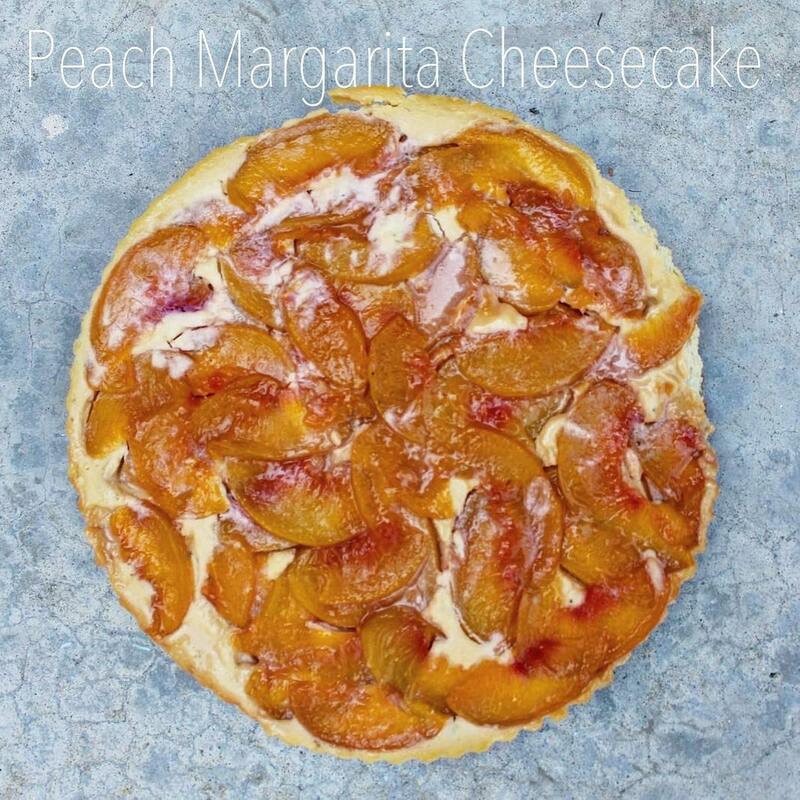 You can find the recipe over on her blog. 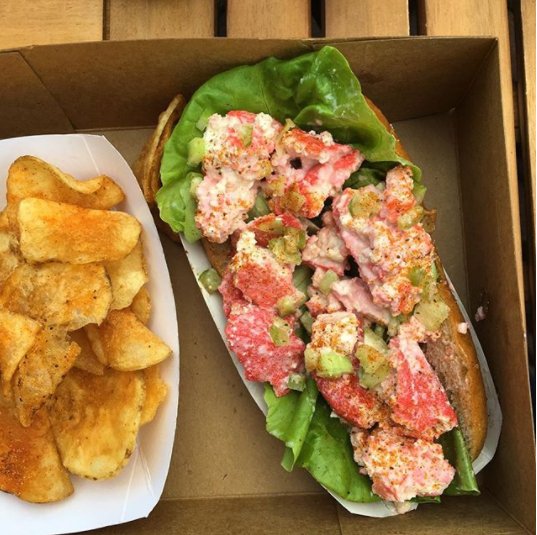 Have you ever tried vegan lobster?! 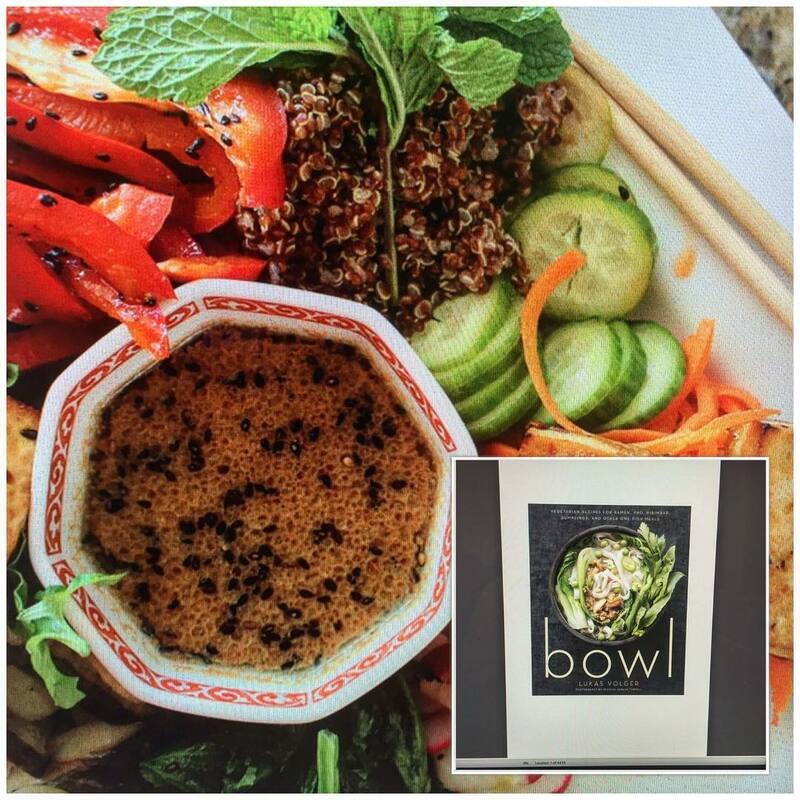 Follow Nicole’s lead and eat some of this in the sunshine! 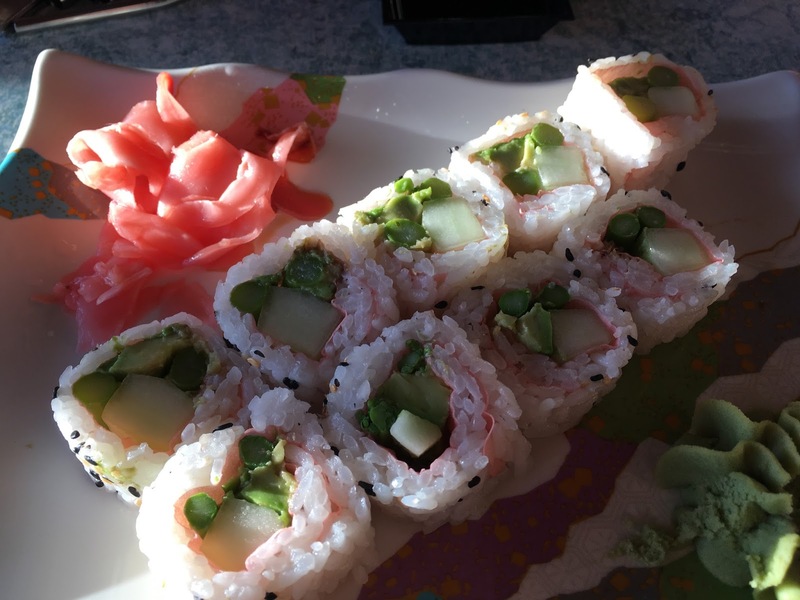 Jen enjoyed this plate of vegan sushi in the great outdoors at a friend’s leaving party. 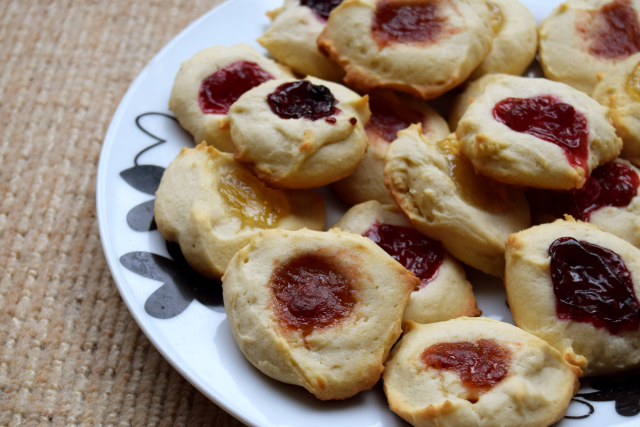 Check out her blog post to see the cupcakes she made and the gorgeous views! 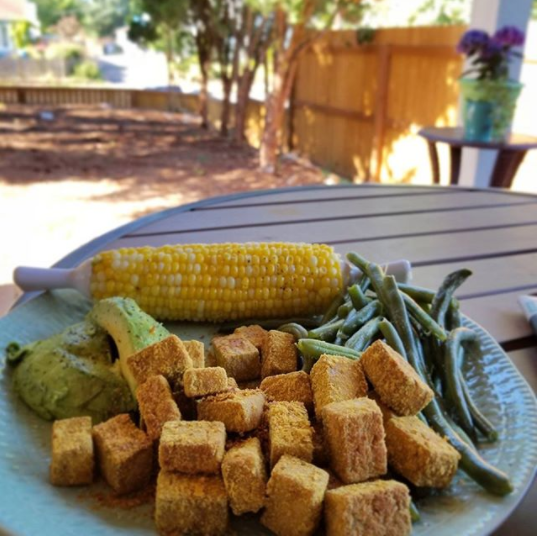 Tofu, corn and avocado on the patio? Yes please! We’d be happy to have dinner with Kristy! 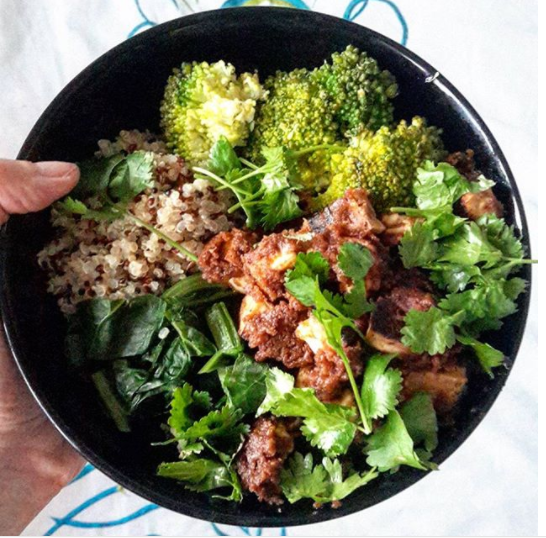 Even if the skies are grey, the food can still be colourful! That peanut butter tofu looks delicious! 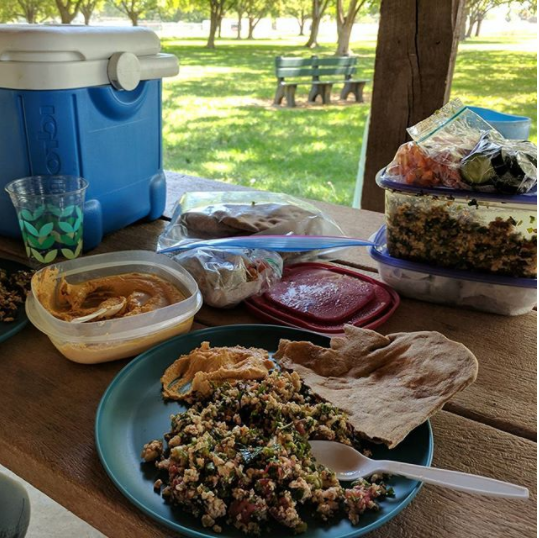 Julie ate a lot of meals in the sunshine while road tripping to enjoy the solar eclipse. 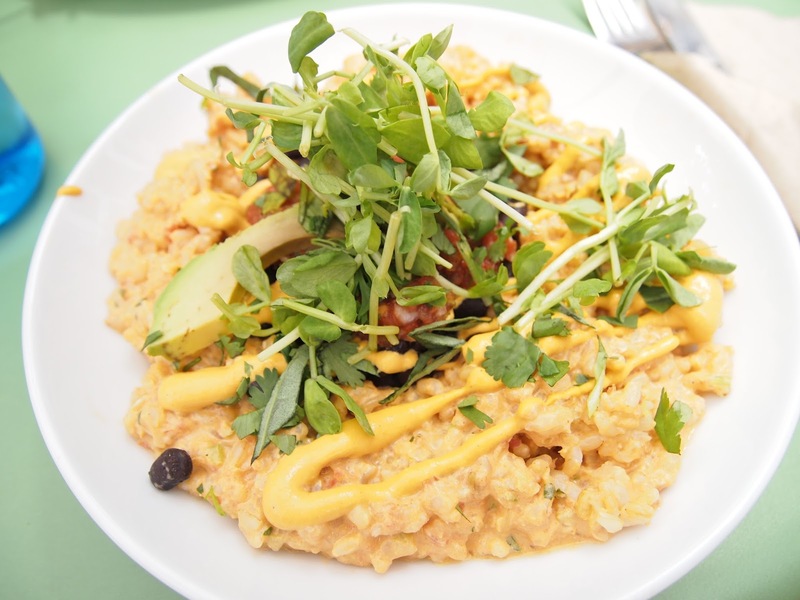 You can find lots more tempting photos in her blog post, but for now let’s all drool over this plate of rice and beans! 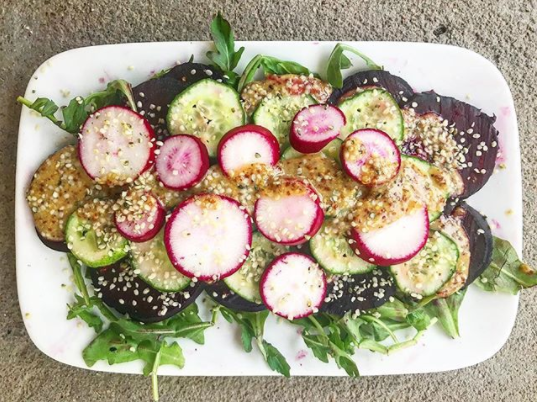 Amber made the perfect picnic salad: beet, cucumber and radish salad with no honey mustard dressing. Doesn’t it look fresh and colourful? Emily is our kinda gal when it comes to road trips! This tofu tabbouleh, hummus, veggies and pita would definitely keep the hanger at bay. 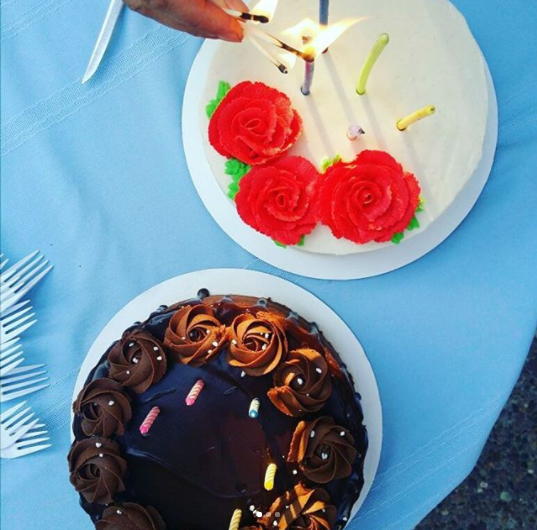 Birthday cake in the great outdoors sounds wonderful to me! 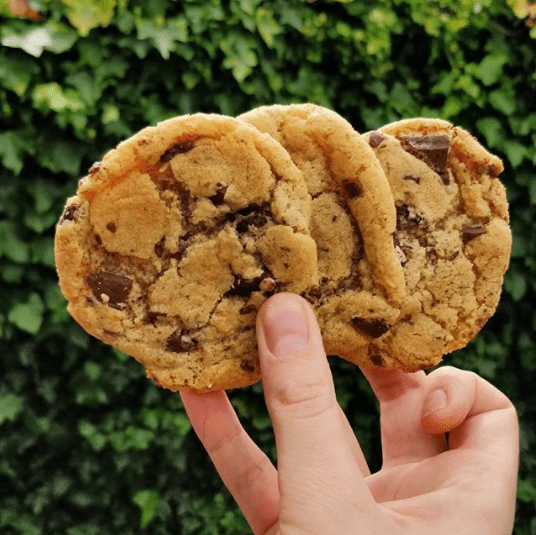 Vanilla bean or chocolate, everyone? 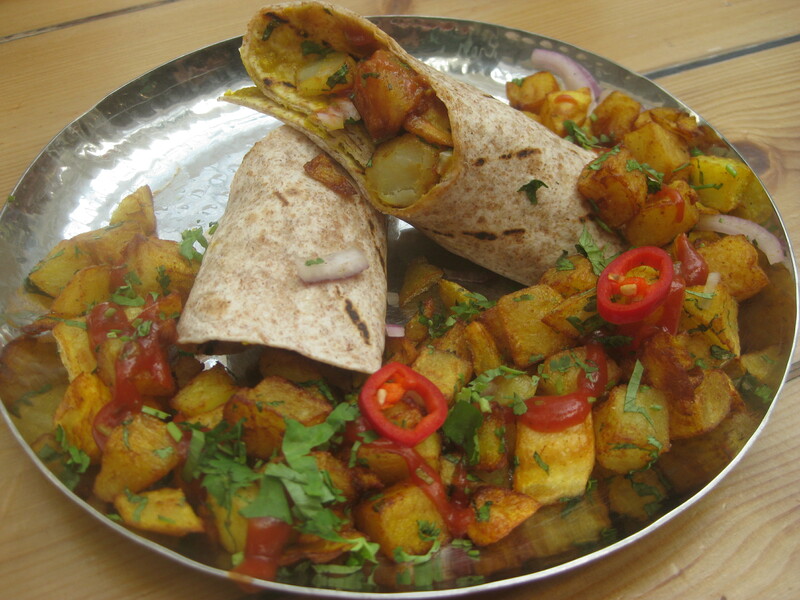 Jenny devoured a lot of outdoor food on a trip to a vegan-friendly market in London. 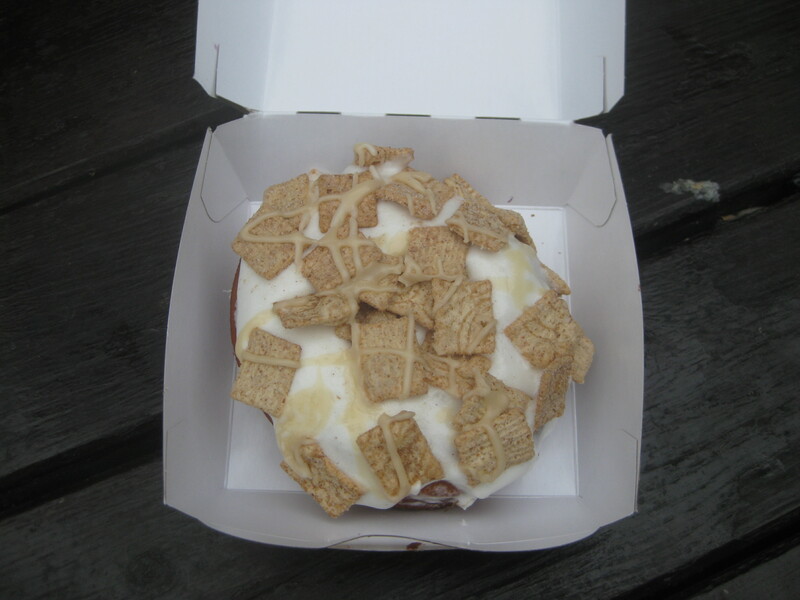 Feast your eyes on this donut! Emma made these choc chip cookies for a family party, and I can imagine they didn’t last long! 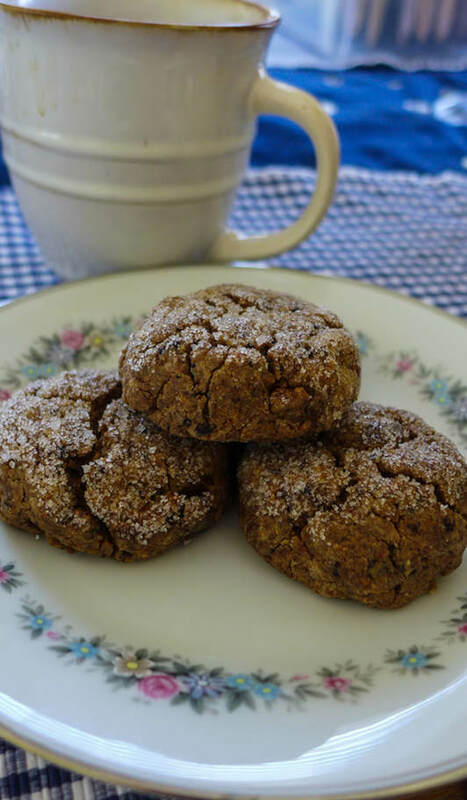 Check out the recipe on her blog if you want to whip up your own batch. 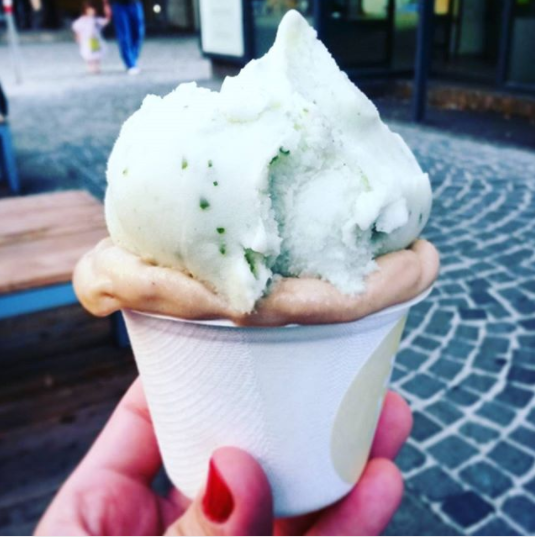 And finally, the most perfect outdoor food: ice cream! Mrs S. picked this one up in Vienna. Thanks to everyone who participated in August’s MiniMoFo! Stay tuned for September’s theme – the last one before the main event starts in October. If you haven’t already signed up for VeganMoFo, do it now!